Summer is in full force, but McBurney Lane is under construction, so everyone packed inside to catch the great songs and performance of The Flying Ritas. 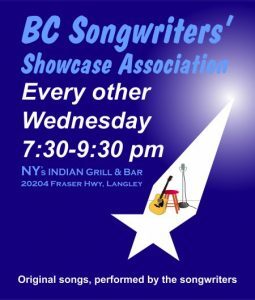 Suzanne, Rick and Dale put on a great Songwriter Showcase, followed by a “full to overflowing” Open Mic list. A great time was had by all !